A. E. Stallings lives in Athens, Greece. 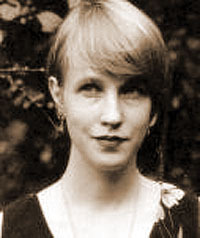 Her first collection, Archaic Smile (University of Evansville Press, 1999), won the Richard Wilbur Award. Her work has been included in The Best American Poetry 1994 and 2000, and the Pushcart Prize XXII Anthology. She has new poems in recent or forthcoming issues of The Atlantic Monthly, Iron Horse Quarterly Review, The New Criterion, Poetry, and other publications. She directs a summer poetry workshop on the Greek island of Spetses.